Cooper Machine Company – Specializing in Overhead End-Dogging Scragg, Sharp Chain Scragg and other primary breakdown equipment. Efficiency has become our standard. 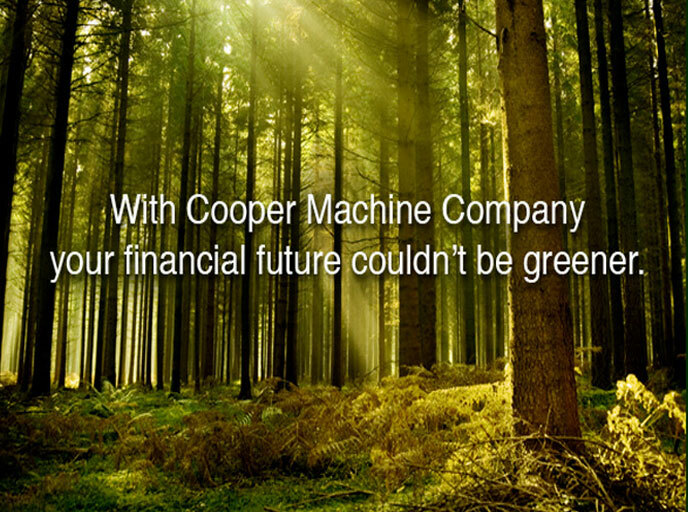 With much of the world focused on preserving natural resources, and the supply of raw material in high demand, efficiency has become the standard for all Cooper designed machinery. Utilizing the latest in computer and laser technology, Cooper machines are designed to get the most from every log, slab and board that goes through the mill. Cooper Machine manufactures three types of scragg mills the Yield Champ, Overhead and Chain Scragg which are all built to the customers specifications. All Cooper Machine equipment is built utilizing proven technology, including the latest in computerized setworks and profiling software.